Our third packed house in a row! 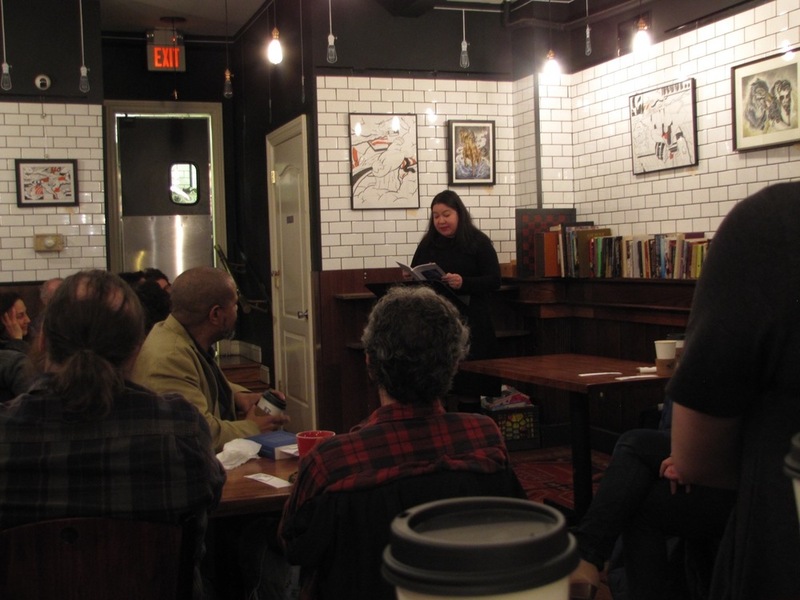 It was standing room only at Red Eye Cafe, and we were thrilled to welcome John Keene, Brenda Shaughnessy and Boris Tsessarsky to Halfway There. All three were incredible, engaging readers. As the pictures clearly show, the audience was entranced. 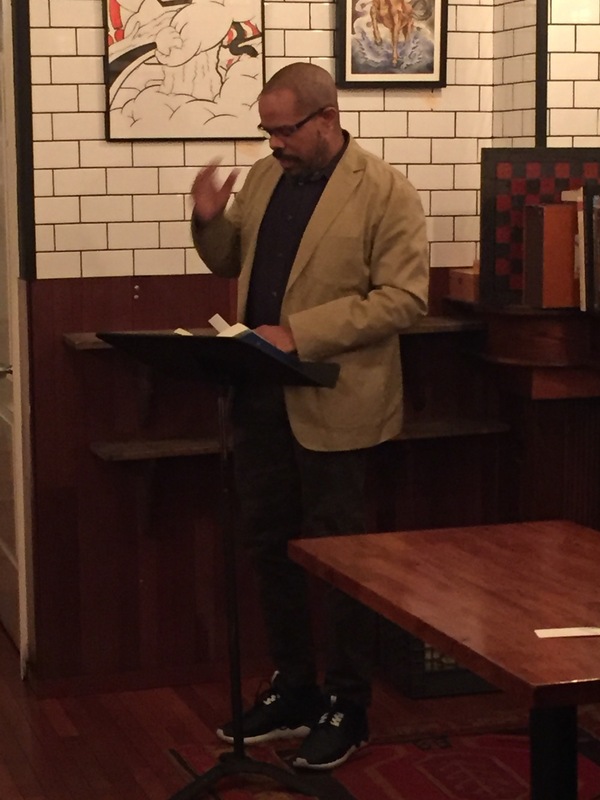 John Keene read "The Aeronauts" from his book Counternarratives. By the end of his breathless reading, people (i.e. series co-curator, Nicole) had tears in their eyes. Brenda Shaughnessy read "I Wish I Had More Sisters" and "Artless" from Our Andromeda as well as some selections from the much antiptaed “So Much Synth,” a "dyke house" and Melissa Etheridge, and her time machine that traveled into the future one second, every second; she had the audience laughing from the moment she got up in front of the crowd. Boris Tsessarsky read an excerpt of a story that brought together war journalism and film--fitting since he just had a film accepted into the NYC Independent Film Festival! 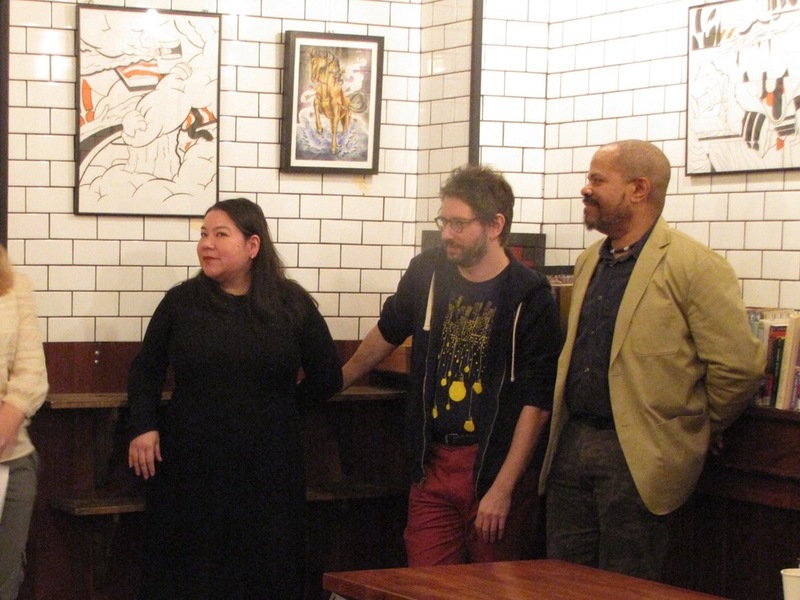 Series host and co-curator Apryl Lee invited John, Brenda and Boris up after the readings for an audience Q&A. Highlights included their surprisingly unified response to the question of where they write. All agreed that their psychological spaces were more important than their physical spaces. Brenda mentioned how taking singing lessons helped her write her manuscript; Boris agreed that stepping outside of your comfort zone and not being precious about writing routines can be key to producing work. All three writers also teach--Brenda and John had students in the audience--and spoke about the role of their jobs in their work. The last few questions of the night had to do with research. John revealed that the ideas behind Counternarratives had been percolating long before he realized he would write the book. 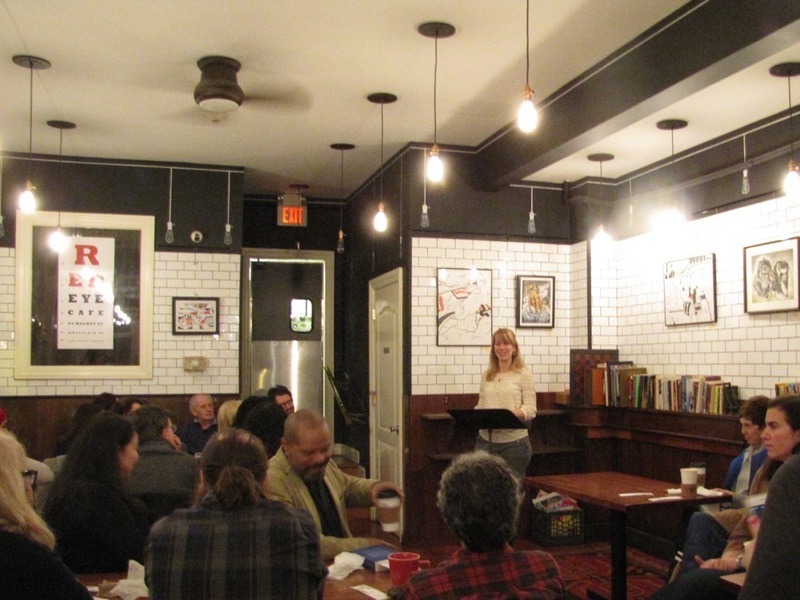 It was another inspiring night and, as always, it was wonderful to see literary New Jersey come together in the crowd!